Working long hours? Going out for the day? Don’t worry we can look after your dog all day in the comfort of our own home, where games, toys and comfortable beds are provided. Whether your dog wants to chill out in front of the TV, explore the garden or just have a play and a cuddle it can all be done! We make life simple by picking up and dropping off so you don’t have to do a thing. However you may prefer to drop off and pick up if that suits you better. Amigo Pet Services offers this service for clients who want their dog to have company all day. Your dog will receive 1-2 walks during the day. Dog Day care is available from 07:00 to 19:00. However if for any reason you need us to be a bit more flexible, I am sure we can oblige. 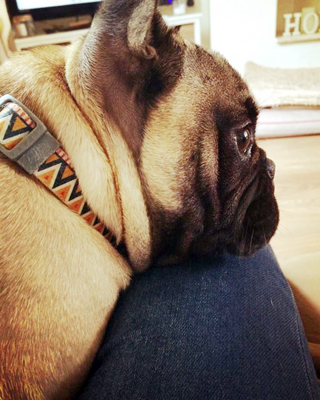 Like our dog walking service our day care service is extremely popular, numbers are restricted, so that the service reminds personal, so booking in advance is advisable. 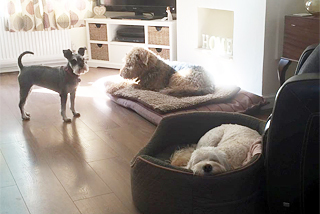 Dogs are supervised at all times and it really is a home from home experience for your dog.